What makes millions of people around the world don colorful costumes, dance and cavort in the streets, and throw lavish feasts during the month of February? Believe it or not, the Carnival season (known widely as Mardi Gras in the United States) has religious roots in the Christian tradition, and possibly pagan traditions as well. It is a time to confess one’s sins in the weeks preceding the penitential season of Lent, and usually this involves embracing and indulging in sensual pleasures. What we know nowadays as Carnival traditionally spans the period between Epiphany (6 January) and Ash Wednesday (the Wednesday of the seventh week before Easter, which marks the beginning of Lent). During this period, meat, dairy products, and other rich food and drink had to be disposed of since it could not be consumed during Lent, a forty-day period of fasting, penitence, prayer, and reflection which represent the forty days Jesus spent in the wilderness. For this reason, great parties and feasts were held and revellers consumed this food and drink so that it would not be wasted. Such raucous celebrations generally involved entire communities. Carnival (which probably means “to remove meat” in Italian) may be influenced by pagan traditions. One theory is that it absorbed the ancient Roman festivals of Saturnalia (a winter solstice celebration honoring Saturn) and Bacchanalia (a similar festival for Bacchus, the god of wine), both of which are characterized by unrestrained, orgiastic merrymaking. These festivals in turn may have been influence by earlier Greek Dionysia festival. Although these connections are not certain, it is easy to see the similarities in the form of sensual excess. Carnival celebrations vary widely around the world, but they are most common in Catholic communities. In England it was known as Shrovetide, was a time to confess one’s sins, and involved significantly less revelry than Continental celebrations. 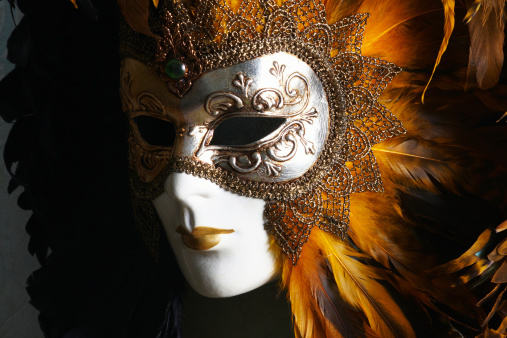 The elaborate parades, costumes, and masquerade balls for which Venice is so famous probably originated in medieval Italy and spread to France, Sprain, and Portugal, and from there to the Americas. We still see variants of these parades, masquerade balls, and excessive partying in heavily Catholic cities like Rio de Janeiro, Veracruz, Mazatlán, Havana, Miami, and New Orleans. It may not seem like a very spiritual festival given its reputation for sensual excess, but Carnival does represent preparations for the following fasting season, and it might even have underlying connections with early ecstatic religious ritual. What does Carnival mean to you, and how do you celebrate it in your community (if at all)?